What an exquisite card Sharon - love it! 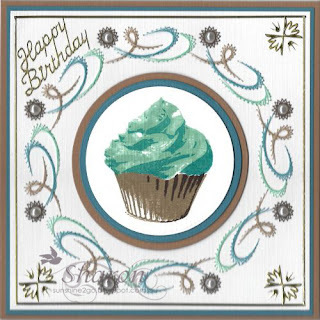 A fabulous card, such a super colour combination and great stitching. Gorgeous card,Sharon.Love this beautiful pattern.The colours are beautiful too. Thank-you for taking the time to visit My Craft Cupboard and for leaving a message.